A tablet device is quite like a mini laptop/notebook in terms of size runs on Android/iOS platform normally. It brings so many user advantages and options just like the smartphone. The only difference is the bigger display size than any other smartphone. This bigger screen size offers better work enhancements, bigger and fuller multimedia experience mostly. The tablet devices also come in handy in terms of productivity like a computer. While Apple offers iPad devices, some other Android smartphone companies are also providing tablets. Huawei is one of them and recently launched Huawei Mediapad T5 model. In this article, we will talk about the Huawei Mediapad T5 Stock Wallpapers and its specification. The Mediapad T5 is the successor device of the previous generation Huawei Mediapad T3. The Mediapad T5 comes with an aluminum unibody design along with a huge 10.1-inch IPS LCD display. The screen resolution is 1920×1200 pixels with Full HD, which makes the screen form-factor of a 16:10 aspect ratio. The device is powered by octa-core 2.36 GHz Kirin 959 chipset based on a 16nm process with AI capabilities coupled with Mali-T830 MP2 GPU. The tablet comes with 2GB/3GB of RAM and 16GB/32GB of internal storage variant. It features a single 5MP rear camera and a single 2MP selfie camera. The device packed with a massive 5,100 mAh battery and dual speakers for rich and boosted audio performance. The ‘Huawei Histen Audio’ technology makes sound richer and gives a cinematic experience. It runs on Android 8.0 Oreo over EMUI 8.0 UI out-of-the-box. It also features all the necessary connectivity options and sensors as well. 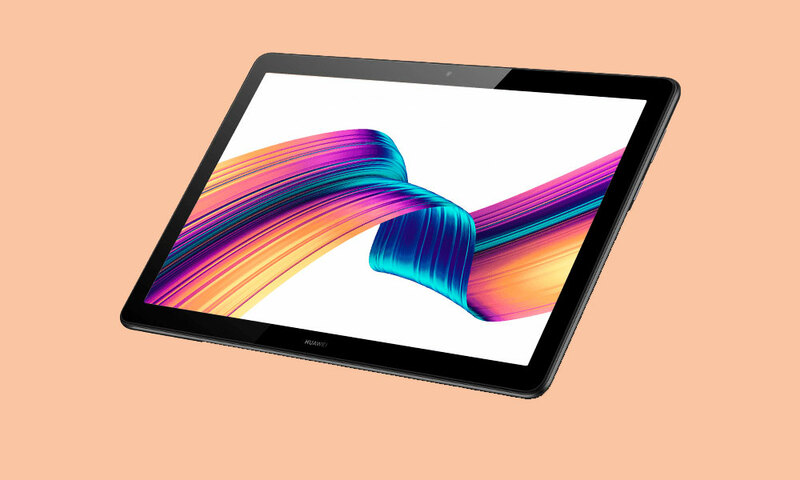 Now coming to the actual topic, the Huawei Mediapad T5 Stock Wallpapers are in Full HD resolution of 2400×1920 pixels resolution. All the 06 stock wallpapers come in 16:10 aspect ratio by default and will perfectly fit on any 18:9 or above aspect ratio devices. You can just download the zip file from below and extract it on your mobile storage. Go to the Huawei Mediapad T5 home screen and tap on black space to get the option for Wallpapers. You can find the extracted images from the wallpaper option or directly from the device gallery app. Just choose the preferred image and set it on your home screen or lock screen via settings easily.